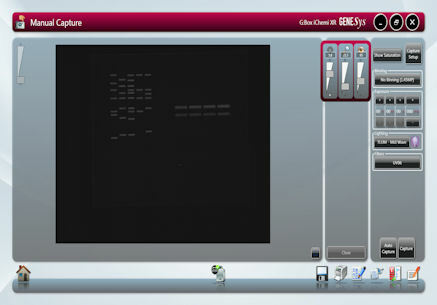 "GeneSys image capture software for Syngene"
Note: GeneSys is available only with the purchase of a Syngene gel documentation system. It is not for sale as a stand alone software program. 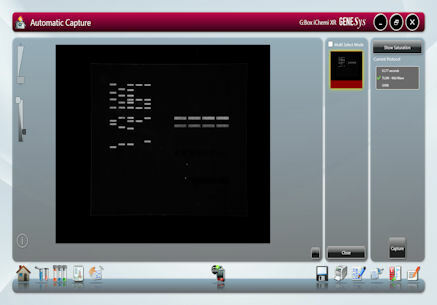 Syngene's revolutionary new GeneSys image capture software has been developed for use with G:BOX, PXi, and Dyversity systems. GeneSys ensures scientists can quickly capture excellent images of even complex multiplex gels. It is assumed that the user will know exactly what their application is and how they have prepared their gel or blot. In Auto Mode they simply enter this information into GeneSys (or recall it from a saved configuration) and the system takes over the rest. Behind GeneSys is an extensive database which contains data relating to a very wide range of applications, eg, fluorescence, chemiluminescene and chemifluorescence. 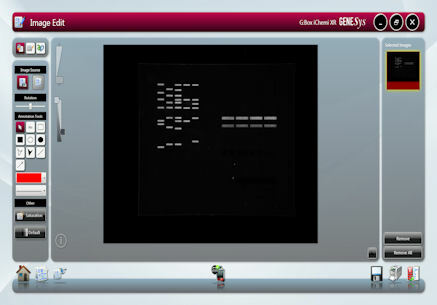 Once the G:BOX has been told what sample to expect then GeneSys decides what hardware configuration is best and sets the system ready for image capture. Things like camera control, exposure time, sensitivity setting, lighting requirements, lens control, filter selection – all of this is taken care of by GeneSys. The user just has to click the ‘capture’ button and wait for the perfect image to appear. From the opening screen the user can select the mode of operation – Auto or Manual. It is also possible to access the image browser and enter the edit screen to work on previously stored images. Previously stored configurations are shown on the left as small ‘notebooks’. In Auto Mode the user simply selects the ‘sample format’, the ‘sample type’ and the ‘matrix type’. 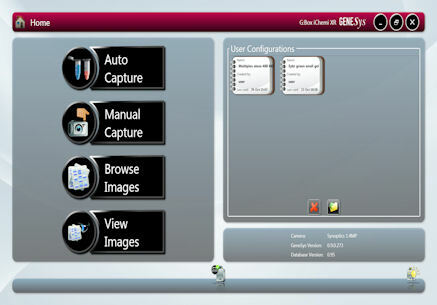 The software has been designed for use with a touch screen. 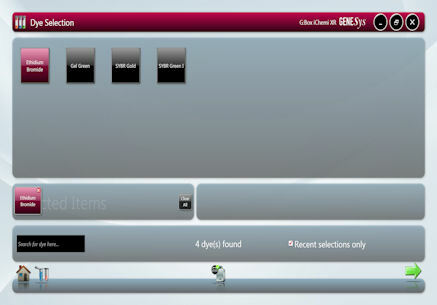 Once the application type has been selected GeneSys then offers the user a range of dyes from its database. The user then simply selects the dye. It is also possible to undertake multiplex applications in which case the user would select each dye from the available list. The database behind GeneSys contains over 210 different dyes and stains and is updated on a regular basis as more options come onto the market. Not everyone wants their system to take automatic control. Therefore, there is the ability for the user to take complete control of every function of the system by using the manual mode GeneSys has been designed using the most advanced software tools available. Primarily it has been designed for use with a ‘touch’ panel PC and to take advantage of the new functions afforded by Windows 7. Selection of all options using the simple interface is easy and intuitive.